09.09.2018 - Release of second track "Rock this Place"! Here is my second official release "Rock this Place". It is a Metalstep track with 150 bpm. It is available as Original and Extended Mix. To maintain the quality it is released as a wave files with 16 bit and 44,1 kHz Sample rate (CD quality). Feel free to download it from Bandcamp to use them in your DJ sets or just to listen. I released the tracks as "pay what you want". Huge thanks again go out to Stealth Graphics for the cover! Check out the media section for more information about this release. The song is also available at Youtube, Facebook and Soundcloud! Hier ist meine zweite offizielle Veröffentlichung "Rock this Place". Es handelt sich um einen Metalstep-Track mit 150 bpm. Der Track ist als Original und Extended Mix erhältlich. Um die bestmögliche Qualität zu liefern, wurden die Tracks als Wave-Datei mit 16 bit und 44,1 kHz Sample-Rate (CD-Qualität) veröffentlicht. Der Song kann von Bandcamp heruntergeladen werden, um ihn in Deinem DJ-Set zu nutzen oder einfach nur um ihn anzuhören. Ich habe den Track als "bezahle was du möchtest" veröffentlicht. Großer Dank geht wieder raus an Stealth Graphics für das Cover! Weitere Informationen sind unter Media zu finden. Der Song ist auch auf Youtube, Facebook und Soundcloud verfügbar! 04.01.2018 - Release of first track "Freakwave"! I am very proud to present my first official release "Freakwave". It is a Drum & Bass track with 171 bpm. To maintain the quality it is released as a wave file with 16 bit and 44,1 kHz Sample rate (CD quality). Feel free to download it from Bandcamp to use it in your DJ sets or just to listen. I released this track as "pay what you want". Huge thanks again go out to Stealth Graphics for the cover! Ich bin sehr stolz, Euch meine erste offizielle Veröffentlichung "Freakwave" zu präsentieren. Es handelt sich um einen Drum & Bass Track mit 171 bpm. Um die bestmögliche Qualität zu liefern, wird der Track als Wave-Datei mit 16 bit und 44,1 kHz Sample-Rate (CD-Qualität) veröffentlicht. 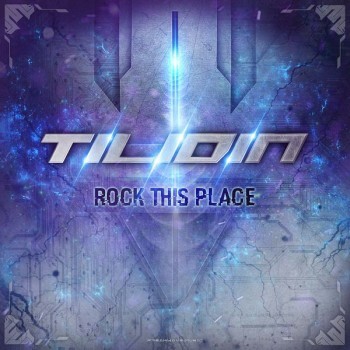 Tilidin is an electronic music project by Mors Cordis mastermind Apex. Further information can be found under Artist. Huge thanks go out to: Stealth Graphics! Tilidin ist ein elektronisches Musikprojekt von Mors Cordis Mastermind Apex. Weitere Informationen findest Du unter Artist. Großer Dank geht raus an: Stealth Graphics!